Political cartoonist Patrick Chappatte of the International New York Times speaks during a conversation about Charlie Hebdo attacks. Updated Jun. 8, 2015 2:18 p.m.
On Tuesday, a special noontime forum focused on those rights. Students, faculty and members of the USC Annenberg community gathered to discuss freedom of expression and the responsibilities of journalists and communicators given that freedom. The event was opened by directors of the communication and journalism schools, Sarah Banet-Weiser and Willow Bay, respectively, before being turned over to moderator Vice Dean Philip Seib. The forum included special guest and USC Annenberg visiting fellow Patrick Chappatte, who works as an editorial cartoonist for International New York Times. Chappatte is also French, and counted members of Charlie Hebdo’s staff among his colleagues and friends. The crowd listens during a conversation about the long-term media issues emerging from coverage of the January 7, 2015 terrorism events in Paris. The room, filled to the brim with about 150 people, then collectively turned to a series of thorny questions: whether there are any limits to these freedoms, what role editorial policy plays in expressing those freedoms, how the question of audience affects this debate, and what responsibilities (if any) people in communication fields are called to uphold. Professor Manuel Castells noted that when discussing the content of Charlie Hebdo — satirical articles and cartoons that mock religious groups, political beliefs, cultural traditions and more — it must be discussed in the context of French society. “The meaning of communication depends not only on the sending and the content of the message, but of the context of the reception of the message,” Castells said. This is especially true for those reading and watching from the United States where, as Chappatte put it, there is a constant “worry about people that could be offended by a picture or images.” Chappette argued that Charlie Hebdo was free of forms of “political correctness” prevalent in the U.S. because of the nature of their work and its locale. After the attack, news outlets were tasked with deciding whether or not they would publish the controversial Charlie Hebdo cartoons. Some news organizations opted not to publish the cartoons, noting cultural sensitivity. Professor Judy Muller felt that the debate about whether or not to republish the controversial content was “kind of moot.” The cartoons are easily accessible online, thus giving many editors another reason not to publish. Does relying on the wide digital availability of the images undermine freedom of expression? The subject was widely discussed in the news, particularly in stories about an exchange between Dean Baquet, executive editor of the New York Times who elected not publish the cartoons, and USC Annenberg professor Marc Cooper, who thought they should have been published. 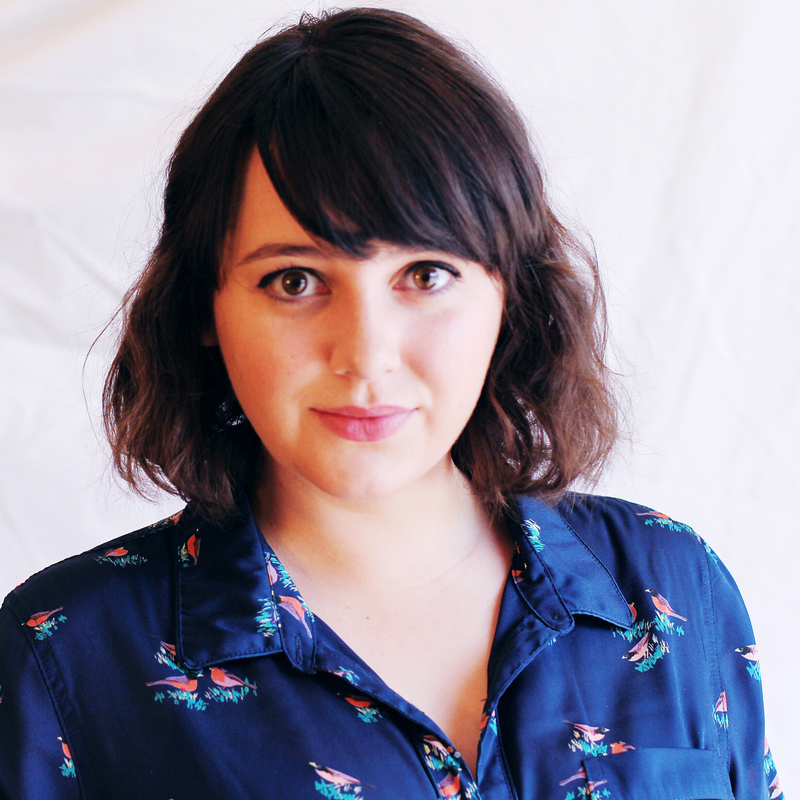 Francesca Bessey, senior opinion editor for Neon Tommy, discusses the Paris terror attacks. Francesca Bessey, senior opinion editor at Neon Tommy, had to answer this question recently as she recently ran a column on Charlie Hebdo in which she and the writer elected not to publish the cartoons in the column, but rather link to another site where they could be viewed. “They’re there for you to see whether people make the editorial decision to release them or not,” Bessey said. But this is more than a question of newsworthiness, Bessey continued. While images can indeed be harmful, that is not their intention, Chappatte responded. The job, of writers and editors, cartoonists and commentators, is to balance freedom of expression and the responsibility of expression, Chappatte said. To contextualize, to continue to embrace freedom of expression in a responsible way, Chappatte offered this advice: “We need to criticize more than ever, but we need to listen at the same time. This is the struggle.” “It all happened in blood and it’s going to change forever the way we think, the way we work,” Chappatte concluded. “It will always be in the shadow [of Charlie Hebdo].